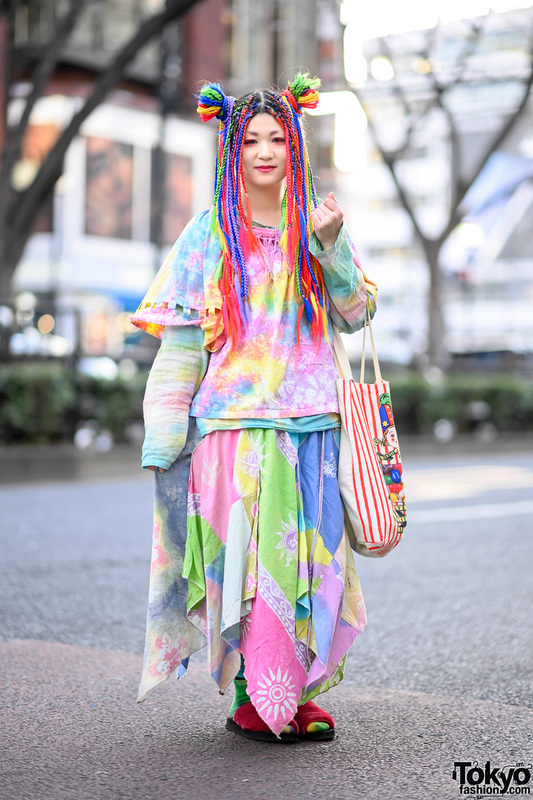 P-Chan and Karin are well known in Tokyo – and around the world – as two of the dancers in the Japanese dance group Tempura Kidz. 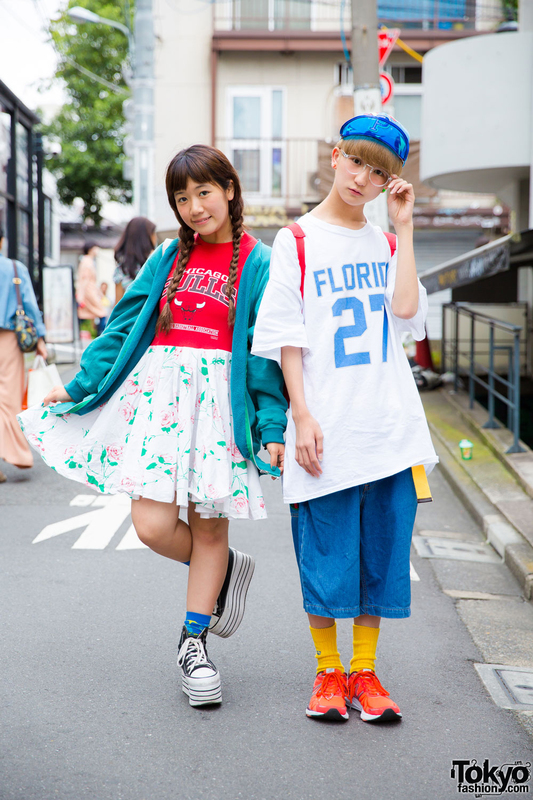 When we met them on the street in Harajuku this time, they wore wearing colorful, sporty outfits. Karin, with twin braids on the left, is wearing a remake Chicago Bulls floral t-shirt dress, a teal jacket from Champion, blue socks and platform sneakers from Jouetie. 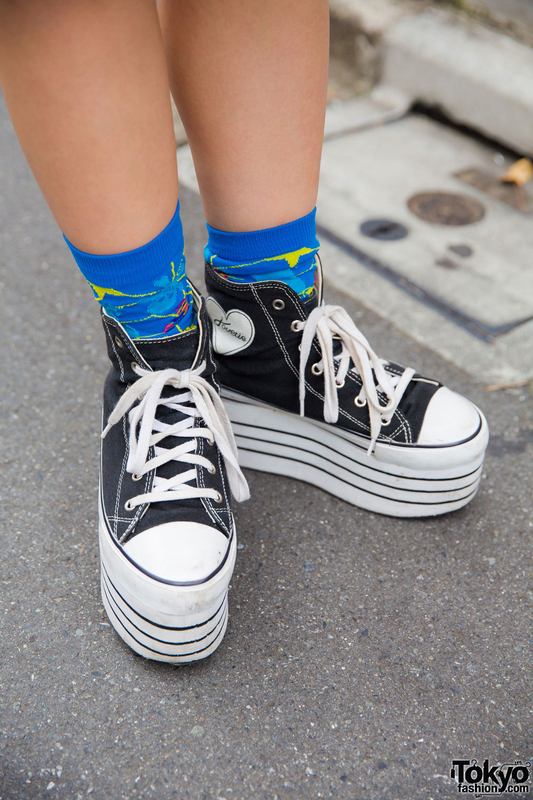 She loves shopping for clothes at used/resale shops and likes to listen to Judy and Mary. Karin is active on both Instagram and Twitter. 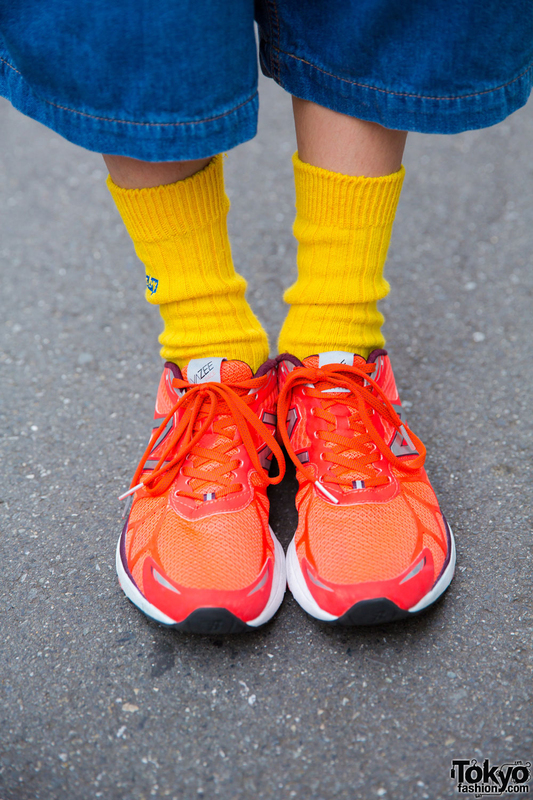 P (on the right) is wearing resale clothing which includes an oversized Florida tshirt, denim over the knee shorts with a yellow belt, yellow socks and orange running shoes from New Balance. 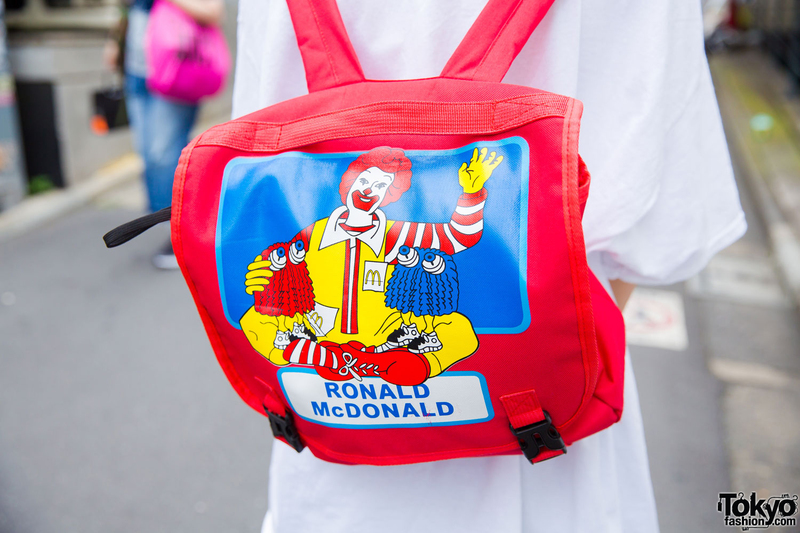 He’s carrying a red Ronald McDonald backpack he bought on the Internet. His accessories include a blue cap bought in Korea, neon green initial earrings, and round eyeglasses from Thank You Mart. 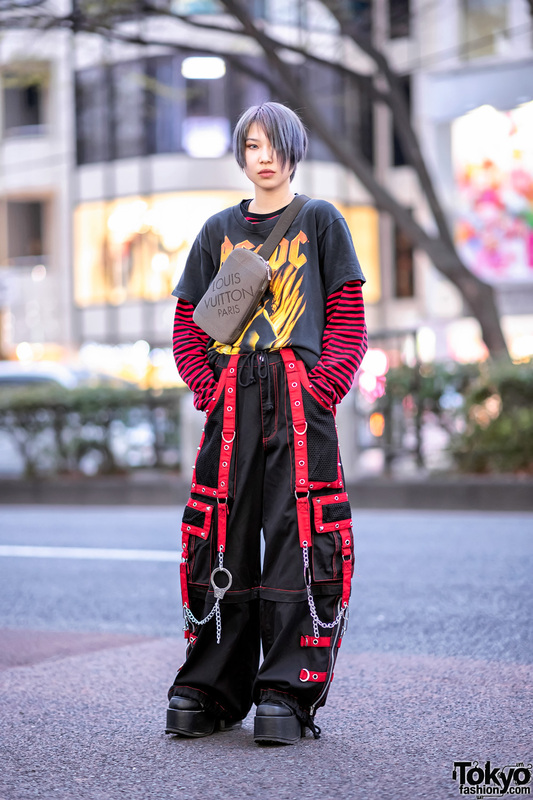 He also loves shopping at used/resale shops and likes to listen to Suiyoubi no Campanella, Charisma.com and Sekai no Owari. You can follow him at Twitter and Instagram for more info.